This was a very rushed stop at Bowery and I feel I didn’t get to experience the dishes as thoroughly as I would usually. That being said, I am still happy with the dishes here and would be happy to return. 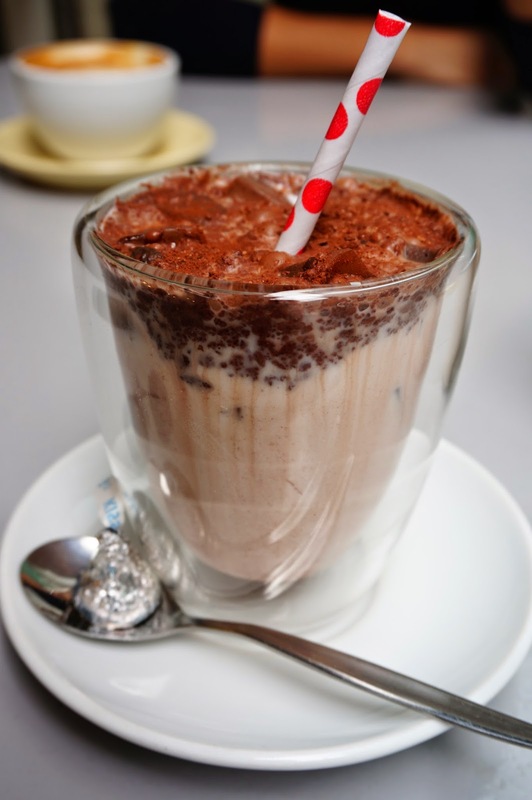 The Iced Chocolate ($4.5) was pretty terrible, clumpy milk and very little chocolate taste. It was iced due to ice blocks rather than ice-cream, and so was not very enjoyable. I would avoid this until they feature it on the menu, rather than by request. 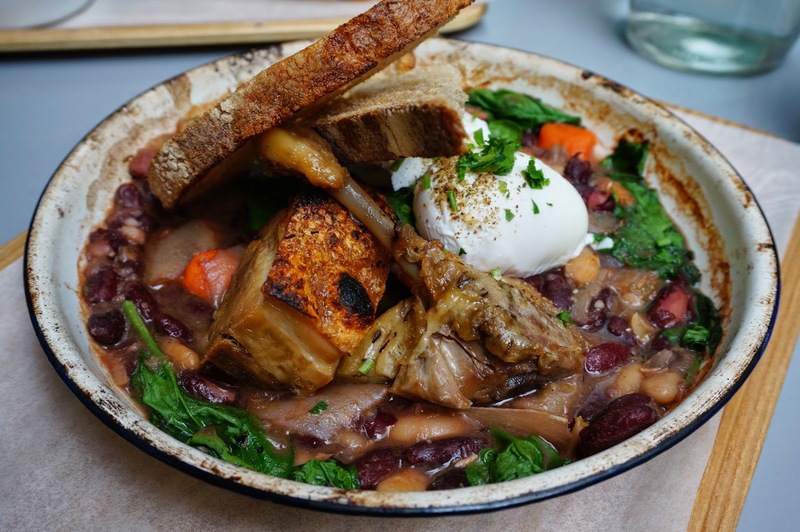 The special of the day was confit duck stew served with pork belly, chorizo, poached eggs and beans ($14.5); though I didn’t get to finish the whole dish (due to time constraints, in reality there wasn’t much to it) I was satisfied. The olive oil flavour was quite prominent but made for a warm hearty winter stew. The duck was tender and tasty and the poached egg broke open to a gooey mess easily. I managed to try The Reuben, pastrami beef brisket, sauerkraut, Russain dressing, swiss cheese ($12.5) plus a side of pickle, pretzels and mac and cheese. I never thought mac and cheese could ever be amazing, but this was so, so good. Creamy, fatty cheesy goodness, I would repeat this side over and over. 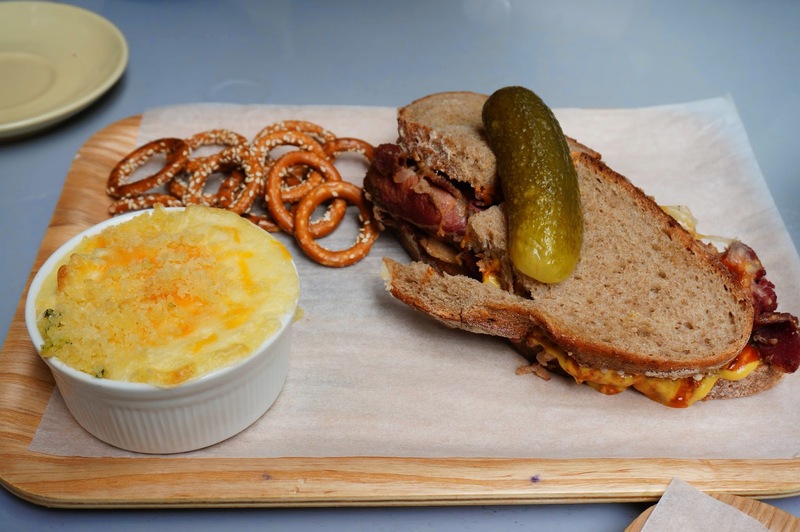 The sandwich itself was alright; the pastrami is served warm and matches well with the mustard. I feel if the price went down, the sandwiches would be even more enticing. TL;DR Good chunky sandwiches, albeit pricy.